Well the title of the thread says everything you need to know. Discuss everything Episode 7 related, hopes for the movie, rumor, news, trailers and so on. It have already been confirmed that the cast from the Original trilogy will return for the three new Star Wars movies. Harison Ford suffered an injury on the set of Episode 7, and could set him 8 weeks back with filming his sceens. The injury reportedly took place when a hydraulic lift on the Millennium Falcon door crushed Ford’s ankle. 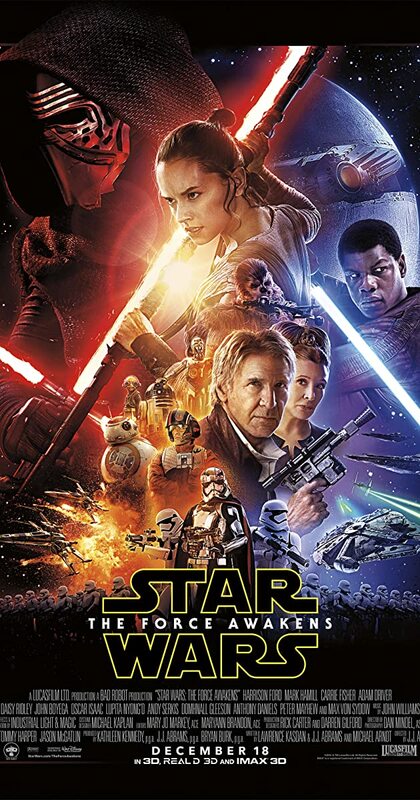 The injury is not expected to affect the Release Date of Star Wars: Episode 7. New picture of Mark Hamill from the sets of VII sporting the good old Jedi Master beard. Personaly i’m pretty happy with the resault of Marks new beard. Glad they choose to keep the Jedi Master beard for the older Obi Wan and now also Jedi Master of the new Jedi academy. Yeah, the beard is cool but I might be more excited if I felt like the producers were freeing themselves from the sense of obligation that plagued the prequel trilogy and the latest Indiana Jones. When they were making Episode I, someone asked “what should a Jedi Master look like?” and used Obi-Wan from A New Hope as a model. So now every Jedi Master in the prequels for some reason dresses like Ben Kenobi, Uncle Owen, the cantina bartender, and every other slob on Tatooine that old Ben tried to blend in with while he wore that outfit. The beard thing seems like a step in the same direction. Well, the Jedis are meant to be like monks so them wearing cloth robes wasn’t really that far-fetched an idea. Exactly, i think the pre-quels take on the jedi order was with in the fantasy and also it fit what i considered Jedi would look like in their prime. 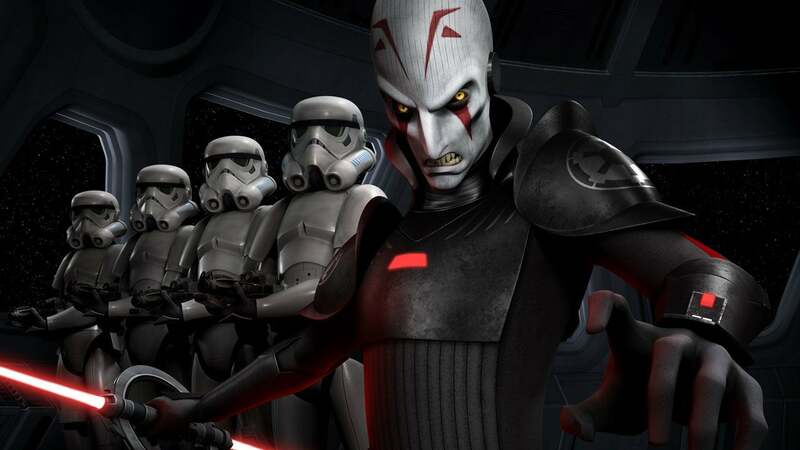 A new set of villains will be ret-conned into the existing Star Wars continuity. All this is ofcourse only a rumor, but could be true. Hadn’t seen this thread before! But I am pretty excited for the movie. From what I’ve heard it seems like it’s going in the right direction at least. The empire’s top shooters have gotten an update, just like the X-Wing. 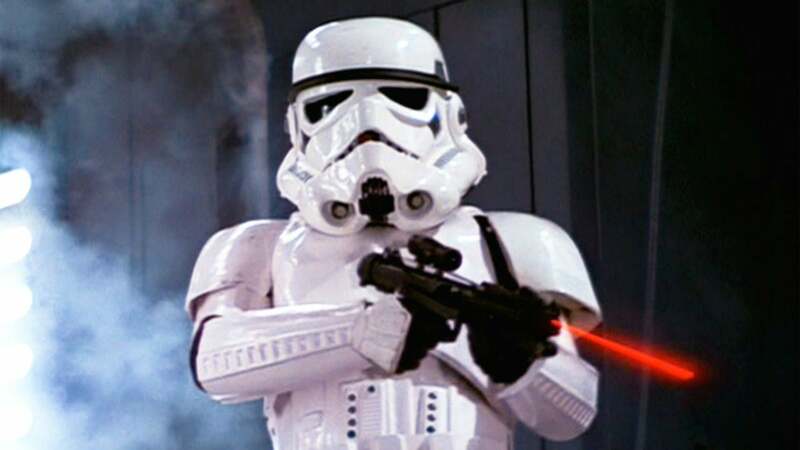 The new look stays close to the original stormtrooper look, but with a mix of modern style in there aswell. what do you guys think?, personaly i think it looks good. But i will have to see a full size version before i give my final judgment. But not to crazy about the second picture, it looks to clean. Actor Miltos Yerolemou best know from the HBO hit tv-show Game of Thrones have been in an unspecified role. 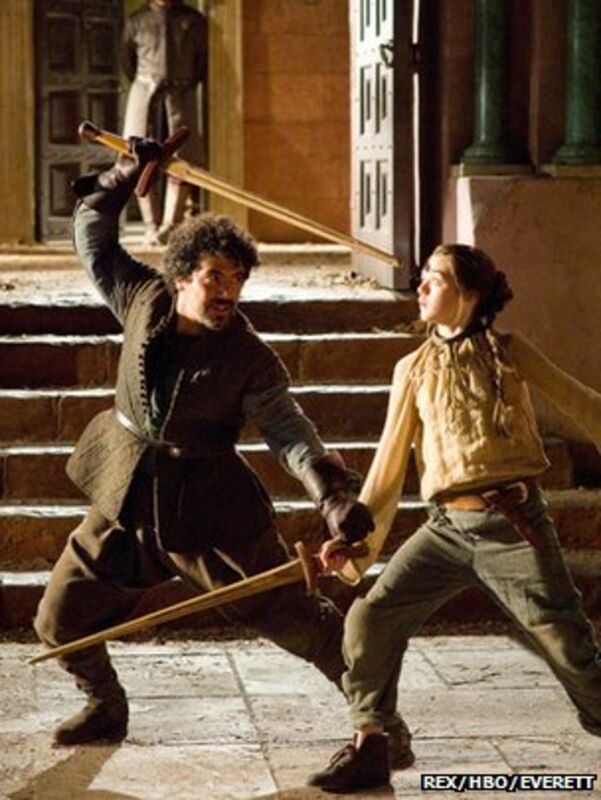 Game of Thrones: Season 1 actor Miltos Yerolemou has joined the cast of Star Wars: Episode VII. Actor Miltos Yerolemou, best known for playing swordsman Syrio Forel in the first series of Game of Thrones, has joined the cast of Star Wars: Episode VII. Coooool. I wouldn’t be surprised if his character was similar to Syrio. Similarly, Steve Buscemi will be reprising his role from the HBO hit series Boardwalk Empire. MASTER SKYWALKER, HAN, and the YOUNGLINGS hide out at a table with R2-D2 and C-3PO. R2-D2 is anxiously whirring. Relax, everything will be fine. Gentlemen. I thought I was clear. Nucky notices C-3PO and narrows his eyes. This isn't the droid you're looking for. Nucky looks the honorable Jedi square in the eye. HAN raises a finger and points it right at the carnation on Nucky's lapel. Nucky reaches behind C-3PO and switches him off. A tense silence. Han and Master Skywalker exchange a knowing glance. Under the table, Master Skywalker relaxes the grip on his lightsaber and puts his hands on the table. Leave this droid. And get out. I'm giving you a break right now. Our heroes leave in disgrace. As they shuffle by, Nucky puts his cigarette out on R2-D2's dome. Anthony Daniels said that he won’t voice C3PO. However he will ones again step into C3PO costume aswell as being the voice. C3PO was only CG in a few scenes in the prequel trilogy, something Daniels did not think very high off. Of droids, suits, and CGI. Plus, the actor talks George Lucas' retirement and Star Wars Rebels. Also the three spin off Star Wars movies, it is said the third one of them will be about Obi-Wan. Ewan Mcgregor has before said he is very much up for reprising his role as Obi-Wan, if he should get the chance. That will the bring us a spin off series with Boba Fett, Han Solo and Obi-wan. Are we about to get an Obi-Wan Kenobi Star Wars spin-off? Ewan McGregor has already said he'd be up for it. To begin with i was not very crazy about these news, but since Boba and Obi is in the talks as spin off movies i’m looking forward to them aswell. Ewan Mcgregor was the best thing about the prequel movies and he did an excellent job as Obi-Wan. I hope the movie takes place either in between episode 1-2, a very important time that only the Clone Wars dealt with. There is great potential in Obi-Wans battle between him and his masters killer. There was alot of important things the prequels missed about Obi-wans journey, that only was covered in the Clone Wars Tv show. or i hope it takes place after episode 3, and deals with Obi-wans time in exile on Tatooine. 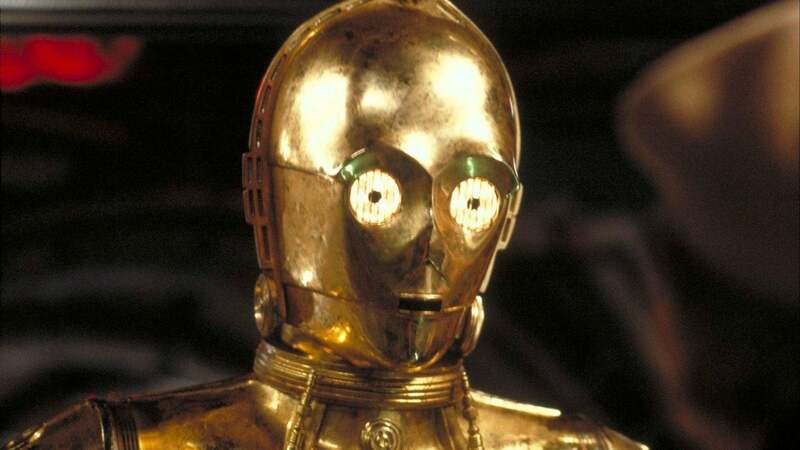 Anthony Daniels said that he won’t voice C3PO this time around. Sounds to me like he didn’t want to only voice C-3PO, but since he’s wearing the suit again and it won’t be CGI, he’s on board to voice as well. But i can see when i re-read it again, that it was a bit wired scentens, and i made it sound like he did not wan’t to voice C3PO at all. But i fixed it now. Two new pictures of have surfaced of Storm troopers or in this case Chrome Troopers. Rumors goes that Driver’s character is a wealthy aristocrat with an interest in Sith artifacts. A pair of concept art images purport to show Star Wars: Episode VII's "Chrome Troopers." Who might they be in cahoots with? Warwick Davis, who played Wicket the Ewok in Star Wars: Episode VI Return of the Jedi, as well as Weazel and Wald in Star Wars: Episode I The Phantom Menace­, presents a special video concerning his possible appearance in J.J. Abrams’ Star Wars: Episode VII. Well this lightsaber looks kind a cool but, it´s kind of not very safe right? Oh god. Yeah, let’s introduce a whole new type of lightsaber just because we can, and it worked so well for Darth Maul and made Episode I a fantastic movie. If the original trilogy were made in the 2010s, Darth Vader would have had a triple-bladed lightsaber in ROTJ and Luke’s hand would have been replaced with a spherical lightsaber. Well at least Darth Maul was freaking cool, and one of the coolest things in Episode 1 (not to say the movie is good). I don’t mind if they introduce other kind of lightsabers, the Star Wars EU has a lot of different styled lightsabers. This one just gives a bit more protection to the hand area. Plus remember this might not even be a real picture. Well it is just as safe as all other lightsabers, which aren’t very save to begin with. The blade is made out of light don’t have any weight, so it would feel like having sword fight with a flash light. Pretty easy to dismember oneself, if you have no real feeling where the blade is.